Jan. 24, 2019 — Now that all but one of the 470 House and Senate races from the election cycle just ended are final and recorded, it is time to better understand what the results portend. As we know, the Democrats had a good election overall, and most particularly in the US House where they converted a net 40 seats — possibly 41 if NC-9 turns their way when the new election is finally scheduled — but Republicans did expand their majority in the Senate, thus largely disqualifying 2018 as an official wave election. Overall, there are 93 freshman House members and nine new senators when counting appointed Sen. Martha McSally (R-AZ). Democrats came very near wave proportions, however – the Ballotpedia organization studied past wave elections and found that a swing of 48 House seats is necessary to constitute such a designation. While the effects from the 2018 election will certainly have long term reverberations, much more time is required to determine if the results are providing the foundation for transformational policy changes or are merely a blip that could just as quickly swing back to the Republicans. What we do know is that women made significant gains in federal representation. In the Senate, the body now features a net three more female members (gaining Kyrsten Sinema and appointed Sen. McSally, both from Arizona, along with new Sens. Jacky Rosen (NV), and Marsha Blackburn (TN), but losing North Dakota’s Heidi Heitkamp), meaning that 25 women are now incumbent senators. 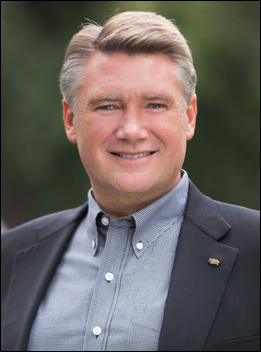 Nov. 30, 2018 — The North Carolina Board of Elections has failed to certify Republican Mark Harris’ victory in the open 9th Congressional District, action that may initiate a long legal battle. Board Vice Chairman Joshua Malcolm (D) objected to certifying Harris’ 905-vote victory over businessman Dan McCready (D) from 282,717 total votes cast. 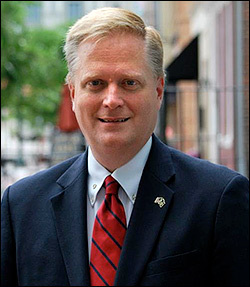 The seat was open after Harris, a Baptist former pastor and ex-US Senate and congressional candidate, defeated Rep. Bob Pittenger (R-Charlotte) in the May Republican primary. Malcolm cited “irregularities” in Republican Bladen County, an entity that Harris carried by 1,557 votes, obviously more than his district-wide margin, as his reasoning to the other board members as to why the result should be at least temporarily suspended. The 9th District begins in Mecklenburg County and then travels down the South Carolina border to the Fayetteville area. It includes five complete counties and parts of three others including Mecklenburg and Bladen. 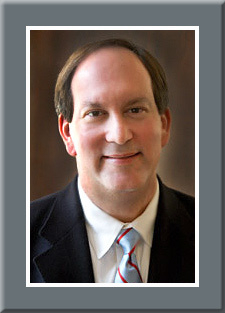 Harris carried only Union County and Bladen’s 9th District section, but his margins were large enough in these two places to overcome McCready’s advantage in the other six local entities. The North Carolina Board of Elections (BoE) is a nine-member panel that has been at the center of controversy between Gov. Roy Cooper (D) and the Republican legislature. After Cooper defeated then-Gov. Pat McCrory (R), the legislators passed a series of bills that limited some of the governor’s power. One of the measures involved changing how the Board of Elections’ membership was appointed.